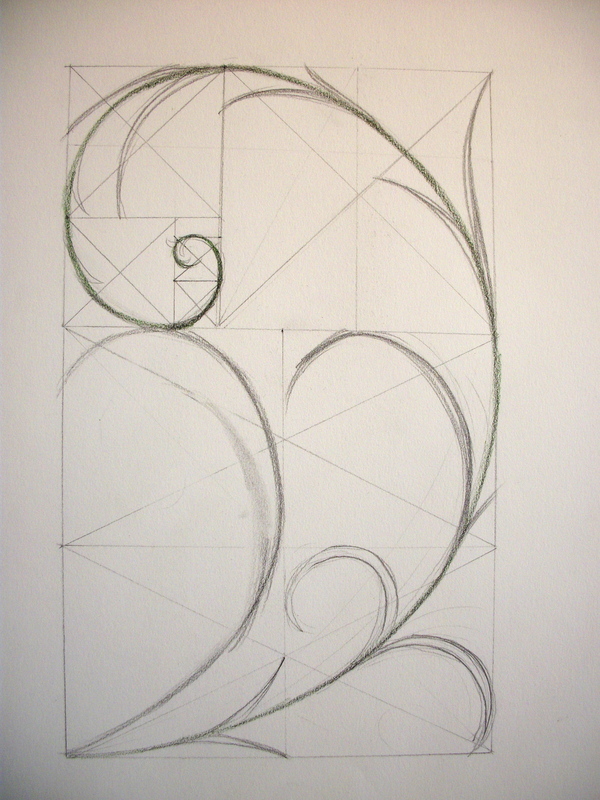 Mathematicians since Euclid have studied properties of the golden ratio, including dimensions of the golden rectangle (where the ratio of the longer side to the shorter is the golden ratio). This proportion is aesthetically pleasing. 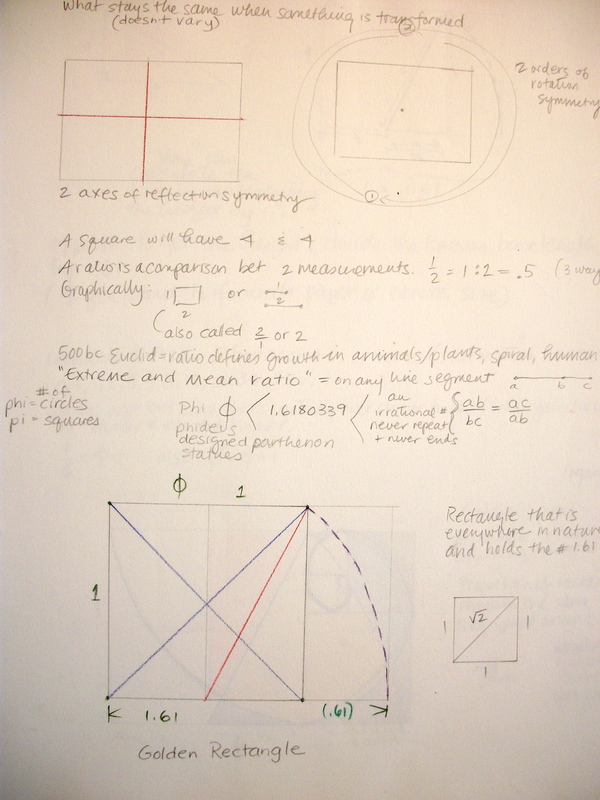 A diagrammatic sketchbook study of mine of the golden ratio. According to the Pythagorium Theory, geometry is a powerful underpinning of the universe. 90 degree angles in rectangles explain much in nature. 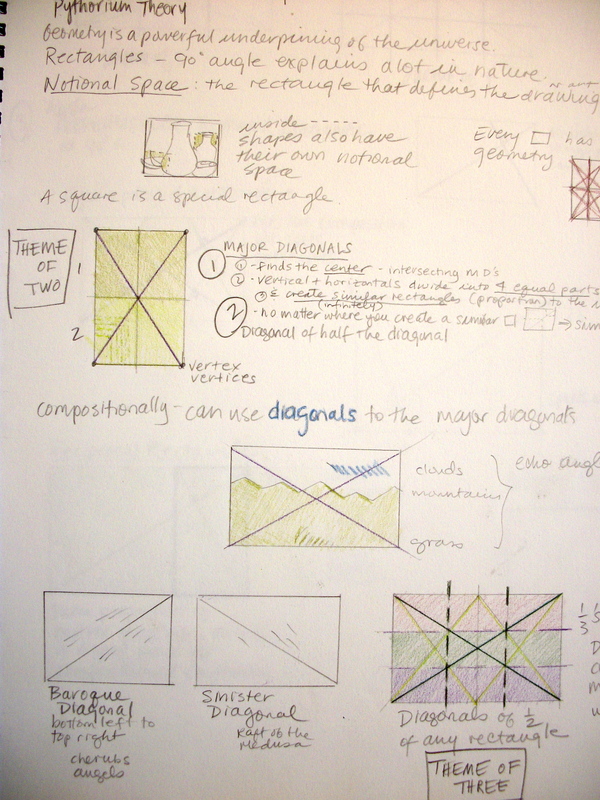 We can consider also, the power of diagonals and the “theme of two” to aid us in building compositional groundwork. Geometric notes in my sketchbook. I’m interested also in the distinction between Baroque Diagonals and Sinister Diagonals. 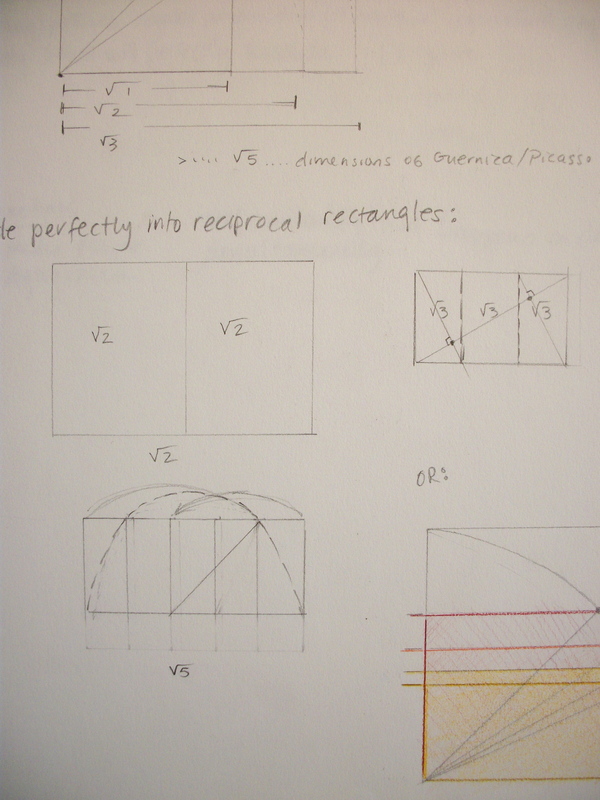 Golden Ratio detail in notes. Baroque and Sinister Diagonals, and dividing into threes. It’s fun to create my own doodle within the sacred geometry. Geometric division with an arabesque simple drawing. Pingback: Ancient Knowledge Pt.1 Consciousness, Sacred Geometry, Cymatics, Illusion of Reality (Rare | 2012: What's the 'real' truth?